Are debt management plans official? Debt management plans have the disadvantage of not being official agreements. They are more "understandings" between you and your creditors. Whilst they can revert to the original terms of your debt, for the reasons that show the benefits to creditors of a debt management plan, most will chose not to change the terms of your new plan. Will my creditors agree to this? Creditors have the advantage of getting their money back through a debt management plan, albeit after a longer period. This if often a favorable option for them, rather than letting you go bankrupt where they may not get any money, or to entering an IVA where the IVA arrangers will take a percentage of money owed as a fee. For this reason, creditors are often willing to enter into these unofficial agreements. What are the benefits of a debt management plan over the alternatives? Debt management plans are far less intrusive than IVAs or bankruptcy. As long as you can pay the amount agreed each month, how you live your life and what you spend your money on is entirely up to you. 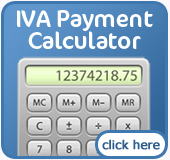 Changes in your financial situation in an IVA have to be reported to your Insolvency Practitioner whereas in a debt management plan, as long as you are making the payments you will be left alone. Though debt management plans may last longer than the alternatives, the level of intrusiveness and severity is so much less that they are a good option for many people. Will I have to pay a fee to start my debt management plan? Some companies charge fees to start your plan and take commissions from your payments. We are not one of them! You will not pay any fees and the total amount you pay each month will be deducted from your total debt. 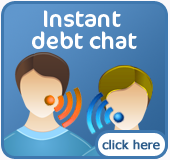 Are you eligible for Debt Management ?